This is the final installment on infertility. Here is part 1 and part 2. 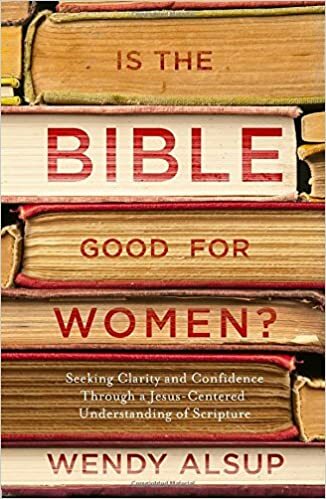 If women who have not struggled with this issue seem to respond to you callously, give them the benefit of the doubt (after all, Biblical love as described in I Cor. 13 requires no less). Most likely, they are simply ignorant of the emotional battles you are facing. Educate them honestly about your situation. Women who love Christ will appreciate your honesty and want to come alongside you in support during this time. It is essential that church members mutually share individuals’ burdens. This speaks to the heart of what it means to be members of the Body of Christ. Paul was honest about the hardships he suffered so that his brothers and sisters in Christ would be unified with him in both the sufferings and the comfort of Christ. 2 Corinthians 1 3Praise be to the God and Father of our Lord Jesus Christ, the Father of compassion and the God of all comfort, 4who comforts us in all our troubles, so that we can comfort those in any trouble with the comfort we ourselves have received from God. 5For just as the sufferings of Christ flow over into our lives, so also through Christ our comfort overflows. 6If we are distressed, it is for your comfort and salvation; if we are comforted, it is for your comfort, which produces in you patient endurance of the same sufferings we suffer. 7And our hope for you is firm, because we know that just as you share in our sufferings, so also you share in our comfort. 8We do not want you to be uninformed, brothers, about the hardships we suffered in the province of Asia. We were under great pressure, far beyond our ability to endure, so that we despaired even of life. 9Indeed, in our hearts we felt the sentence of death. But this happened that we might not rely on ourselves but on God, who raises the dead. 10He has delivered us from such a deadly peril, and he will deliver us. On him we have set our hope that he will continue to deliver us, 11as you help us by your prayers. Then many will give thanks on our behalf for the gracious favor granted us in answer to the prayers of many. Absolutely not! Romans 8:1 teaches that there is NO CONDEMNATION for those who are in Christ Jesus. Sure you sin and deserve judgement. But Jesus Christ fully paid this penalty on the cross. Now, God operates with us on a totally different playing field called grace. Instead of punishing you, God is disciplining you–which is an entirely different concept than punishment. The term discipline in Scripture means training in righteousness. So God is allowing circumstances in your life to teach you something beautiful about Himself that will conform you to His image. Hebrews 12 1Therefore, since we are surrounded by so great a cloud of witnesses, let us also lay aside every weight, and sin which clings so closely, and let us run with endurance the race that is set before us, 2looking to Jesus, the founder and perfecter of our faith, who for the joy that was set before him endured the cross, despising the shame, and is seated at the right hand of the throne of God. 7 It is for discipline that you have to endure. God is treating you as sons. For what son is there whom his father does not discipline? 8If you are left without discipline, in which all have participated, then you are illegitimate children and not sons. 9Besides this, we have had earthly fathers who disciplined us and we respected them. Shall we not much more be subject to the Father of spirits and live? 10For they disciplined us for a short time as it seemed best to them, but he disciplines us for our good, that we may share his holiness. 11 For the moment all discipline seems painful rather than pleasant, but later it yields the peaceful fruit of righteousness to those who have been trained by it. God constantly works negative things in our lives for our good and His glory. The story of Job is the classic example of God bringing horrible circumstances in the life of a believer DESPITE his uprightness of character and obedience. According to Job 1, it is because of Job’s righteous character that he is picked for this burden. Satan accuses Job of obeying God only because God is good to Job. If God brings hardship to Job, Satan believes Job will reject God. So Job’s story is about proving God’s worthiness to Satan. In hardship or blessing, trial or glory, God is worthy of praise and adoration. Like Paul’s sufferings, God is working in your life to make known to heavenly powers that He is worthy of praise. Here are the next set of common questions and concerns about infertility. Proverbs 19 21 Many are the plans in a man’s heart, but it is the LORD’s purpose that prevails. 22 What a man desires is unfailing love; better to be poor than a liar. 23 The fear of the LORD leads to life: Then one rests content, untouched by trouble. Philippians 4 11I am not saying this because I am in need, for I have learned to be content whatever the circumstances. 12I know what it is to be in need, and I know what it is to have plenty. I have learned the secret of being content in any and every situation, whether well fed or hungry, whether living in plenty or in want. 13I can do everything through him who gives me strength. 14Yet it was good of you to share in my troubles. John 15 9″As the Father has loved me, so have I loved you. Now remain in my love. 10If you obey my commands, you will remain in my love, just as I have obeyed my Father’s commands and remain in his love. 11I have told you this so that my joy may be in you and that your joy may be complete. Short of creating embryos that will be discarded, this decision is up to you, your spouse, and your conscience. There will be times for you to go forward with treatments and times for you to step away from the process. Only you can say at what point you stop trusting God and start trying to manipulate your way around His will. He is sovereign over this process, and He opens and closes the womb. Through His common grace, He has given doctors good knowledge on this subject. It’s always wise to be informed as long as that information doesn’t cause you to trust in man over God. Romans 14 23But the man who has doubts is condemned if he eats, because his eating is not from faith; and everything that does not come from faith is sin. The two hardest emotional struggles I have ever had centered around the issues of singleness and infertility. After breaking up with the man I thought I was going to marry, I moved to a new city to begin a new job. 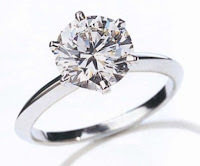 With no prospects on the horizon, I became quickly convinced that I would never get married, that I had lost my one chance at happiness, and now I was doomed to spend holidays in my twilight years as the spinster aunt at my sisters’ houses. Those were the darkest months of my life. I slept a lot—because waking up and facing my bleak outlook on my future was more than I could bear. Finding a church was excruciating. Church is a family time. And my loneliness was never more painfully obvious that when I walked in, sat, and left by myself at some new church, just to go home and eat lunch by myself afterwards. I ended up choosing my church that year because I had a married friend who attended there. She and her husband would have me over for lunch on Sundays quite often. So that was my church. It had nothing to do with doctrine, and everything to do with escaping my loneliness. Eventually, I began volunteering with the United Way, helping a family on welfare make the transition to independent living. I don’t know that I made much of a difference to that family. However, getting involved in helping them got my eyes off myself for a time, and things began to transform in my mind. I was distracted from myself. The depression over me began to lift. Soon, I met the man who would become my husband. Crisis over. Fast forward 5 years. It’s time for us to have kids. I get pregnant and miscarry. But it takes a while to get pregnant again. My mind starts envisioning similar scenarios as it did years before—Andy dies and I’m left to have Christmas dinner at my nephews’ houses if they’ll have me. Who will there be to love? Who will love me? There is an empty feeling in the pit of my stomach as I contemplate my future. I did get pregnant and now have 2 boys. I didn’t spend that long in either season—and yet it was long enough to learn some valuable lessons. 1) Waiting is hard. And yet, for some reason, it is one of God’s favorite ways of teaching us about Himself. 2) People who haven’t been through it are oblivious to the pain of the struggle. “Why aren’t you married yet? !” They mean well, but such comments seem insensitive and hurtful when you’re in the midst of the waiting. One friend asked me, “When are you guys going to have kids?” I had miscarried the week before. And I told her. I didn’t do it to hurt her, but I knew seeds of bitterness would take root and grow if I didn’t honestly, graciously deal with it right then. She wasn’t being mean–she was ignorant. So I tried to inform her graciously in hopes she would be more sensitive to the next lady she came across. 3) My understanding of and love for God wasn’t enough to sustain me. These struggles revealed that I wasn’t confident that He would care for me, provide for me, and guide me in a path that was meaningful and fruitful. He wasn’t enough. This was a painful but needed road to walk. I really didn’t believe God was good and trustworthy with MY LIFE. In light of this, you’ll see that I do a lot of meditating here on who God is—that He is trustworthy and good even when our circumstances don’t fit our vision of the good life. On a final note, a friend of mine recently recommended to me Did I Kiss Marriage Goodbye by Carolyn McCulley. Carolyn is a godly single woman who has lots of wisdom to share about the issues of this season of life. I love the subtitle of this book—Trusting God with a Hope Defferred. The interesting thing about my friend’s recommendation of this book is that she isn’t single. She’s infertile. 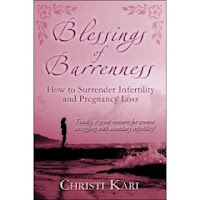 But she found many of the lessons in Carolyn’s book to be applicable to the struggle of infertility as well as singleness and was very encouraged in seeking God’s face through reading it. I don’t mean to diminish the struggle of either the deferred hope of waiting on a husband or of waiting on children by linking them in this article. But I do hope to provoke thought on the similarities of the issues and point Christian sisters to those in other stages of life who may still well understand and accompany them through their hurts.